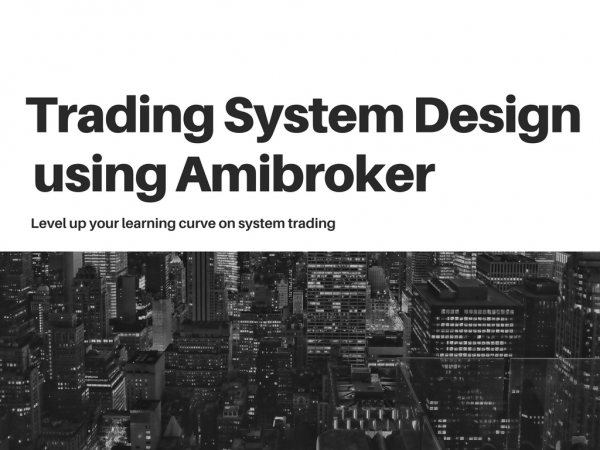 You know that Amibroker is one of the best tool to create custom trading strategies, Signal Generation , Performing Technical analysis and even test/validate your trading models. At Marketcalls we use AFL Programming extensively to create Complex Custom Indicators, Trading Strategies, Trading Dashboard, Buy & Sell Signal Models. If you want to learn Trading System Design using Amibroker one step better then this course is for you. At Premier Inn, Brookfield Main Road, Opp to Shell Petrol Pump, Seetharampalya, Hoodi, Bangalore, Karnataka, India. 1)The various aspects of trading systems design, how to generate original ideas for systems, statistical approaches to systems and the effective use of indicators. 2)Trading Rules on when to activate and when to discard Trading systems. 4)Trading System Optimization, Guidelines and how frequent to fine tune the system. 5)Which timeframe to trade effectively. What type of Trading system to follow. 6)Discussion on Automating your Trading System, Available Platforms, Cost. 7)How to Build Seasonal and Discrete trading systems. 1)Quick Introduction to Trading System Design, Backtesting and Optimization concepts using Amibroker. 2)What kind of performance you can expect from the trading system. Testing the reality of various trading systems. 1)Which timeframe to trade effectively. What type of Trading system to follow. 4)Discussion on Automating your Trading System, Available Platforms, Costfactors. 6)Introduction to Marketcalls Trading Studio (collection of custom designed premium indicators) and 1 Year of Complementary Access to Marketcalls Trading Studio. Participants will receive various USB stick of slides, indicators, test data used during the presentations. The presenters will be providing the codes of some live systems they currently use to trade in order to help explain the various concepts they cover. Participants will also, of course, get the code of anything developed during the workshop. 1 Year of Access to 20 Hours of Amibroker AFL Coding Tutorials. Special offers from our Event Sponsors & Delicious Lunch. A Laptop (Windows) with Amibroker version 5.8 or above Installed. Traders, Analysts, Brokers, College Students , Anyone interested in Investing, DayTrading, Technical Analysis, Trading Strategies, Trading Softwares, Trading System Development, Autotrading enthusiasts. I am interested in backtesting an idea for a rotational momentum strategy and wondered if this is a service that you offer?